This book cultivates an understanding and appreciation of the symbols used by the Church. Written in kid-friendly language, this book encourages children to learn more about the Lutheran faith. 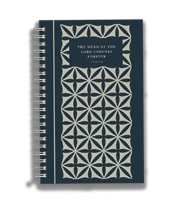 This heirloom quality hymnal contains hymns with beautiful illustrations presenting the seasons of the Church Year and the life of Jesus. Vocal and accompaniment tracks for all of the hymns in My First Hymnal in a 3-CD set. My First Hymnal set includes one book, one accompaniment book, and the 3-CD set. Walk through the three main sections of the church year: Christmas, Easter, and the Time of the Church. Venture through the Divine Service I and learn the significance behind this liturgy.